A new platform adventure game has landed on the App Store and its a colorful one involving a cute little ghost and his fear of the dark. Curious? Check out George Scared Of The Dark. George is a ghost but a peculiar one. He is petrified of the darkness. That doesn’t stop him from going on an epic journey though, across an unknown eerie world, at the end of which he hopes to overcome those fears. 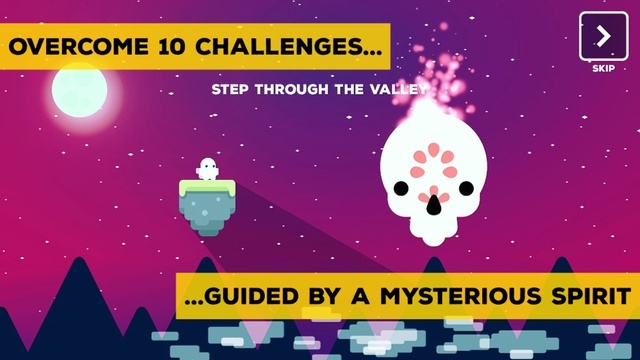 The game is filled with unique challenges spread across 10 procedurally generated levels and should you find yourself lost, you can get help from a mysterious spirit who will be there to guide you along the way. You collect skulls along the journey and earn extra points for finishing levels faster. The game is gorgeous looking with a colorful chirpiness to it, despite its dark theme. You won’t tire of replaying the levels multiple times as each time you’ll go through different experiences. There are 3 unlockable characters and 3 power up skills that add a bit of diversity to the game as well. With intuitive touch and swipe controls at your disposal, you can focus on moving ahead in the game and unraveling the heartwarming story that the developers have created. George Scared Of The Dark has started off on an good note with a couple of awards (at the Radius Games Festival and the Intel Buzz Workshop) in its kitty. Check out the game’s release trailer and click below for the download link. If you love platformers, are afraid of ghosts, or the dark, or are just fancy bored, pick up George Scared Of The Dark for $1.99. You won’t be disappointed. 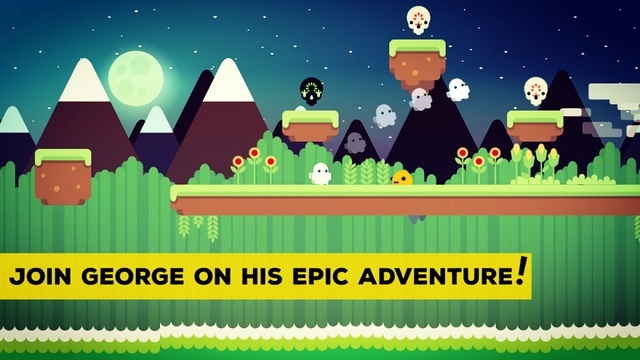 Discover more cool iOS game for your iPhone or iPad in our Archives section.